Active participation in the development of high quality global standards through representation on IFAC's International Accounting Education Standards Board (IAESB), the IFRS Foundation Education Advisory Group, and the IFRS Foundation Advisory Council. Commissioning research projects in collaboration with our sponsors that contribute to the development of advances in international accounting, auditing, and educational standards. Promoting the development of accounting faculty internationally, in cooperation with national and regional academic accounting associations, through the organization and sponsorship of international conferences, international symposia and workshops, and especially through colloquia and workshops to build the research and teaching skills capacity of accounting scholars in emerging economies. Faculty and student members of IAAER enjoy full, unlimited access to all eIFRSs. This includes the most up-to-date electronic html versions of all International Financial Reporting Standards including International Accounting Standards (IASs), Interpretations (IFRICs/SICs) and IASB-issued supporting documents-application guidance, illustrative examples, implementation guidance, bases for conclusions and all appendices. For a preview, visit http://eifrs.iasb.org/eifrs/Preview. Funding for eIFRS access is provided by the KPMG Foundation and KPMG LLP. To join IAAER visit http://www.iaaer.org/join/. Faculty memberships are US $25 per year. Student members are US $20 per year. Keryn Chalmers is Deputy Dean (External and International) in the Faculty of Business and Economics at Monash University. Professor Chalmers is active in several academic and professional organizations. Presently she serves as Vice President (Education) of IAAER, representing IAAER on the IAESB. 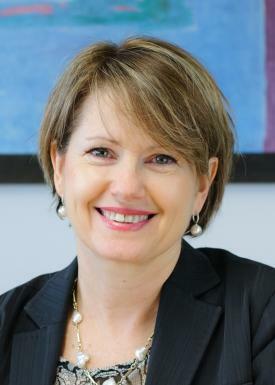 She is a past Australian President of the Accounting and Finance Association of Australia and New Zealand (AFAANZ) and board member of the Australian Centre for Financial Studies. She is a senior fellow of the Financial Services Institute of Australasia, a former Victorian Divisional Council member of CPA Australia. Professor Chalmers research interests are in the financial accounting and water accounting area, specifically in relation to reporting standards, accounting policy and disclosure choices and the economic consequences of regulation.